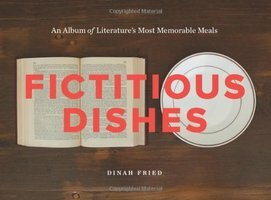 A photographic catalogue of meals from great books. Some years ago, when my first child was finally old enough to sit through a book that (a) was not made of cardboard and (b) had more than four words on a page, I raided the bookshelves of my childhood bedroom with glee. Narrative, at last! All my old favorites were there—the Wizard of Oz books, The Adventures of Pippi Longstocking, The Tale of Peter Rabbit, In the Night Kitchen. I loaded them into a bag and brought them home, and we started right in. Among the spoils was a picture book that had faded from my memory over the years, though its much-dog-eared pages were evidence of the central role it had played in my early reading life. The book, Bread and Jam for Frances, by Russell Hoban, is part of a sweet, funny collection about a badger family whose elder child, Frances, learns a valuable life lesson in each story. Over the course of the series, Frances acquires a baby sister, outwits a dishonest friend, and learns how to fall asleep by herself in spite of noises, scary cracks in the ceiling, and other nighttime horrors. In Bread and Jam for Frances, our furry protagonist rejects her mother’s cooking in favor of the titular meal for a long stretch of days, until she finally breaks down in tears at the dinner table one night and begs for some of the spaghetti and meatballs the rest of the family is eating, having realized that variety is—well, you know—the spice of life.